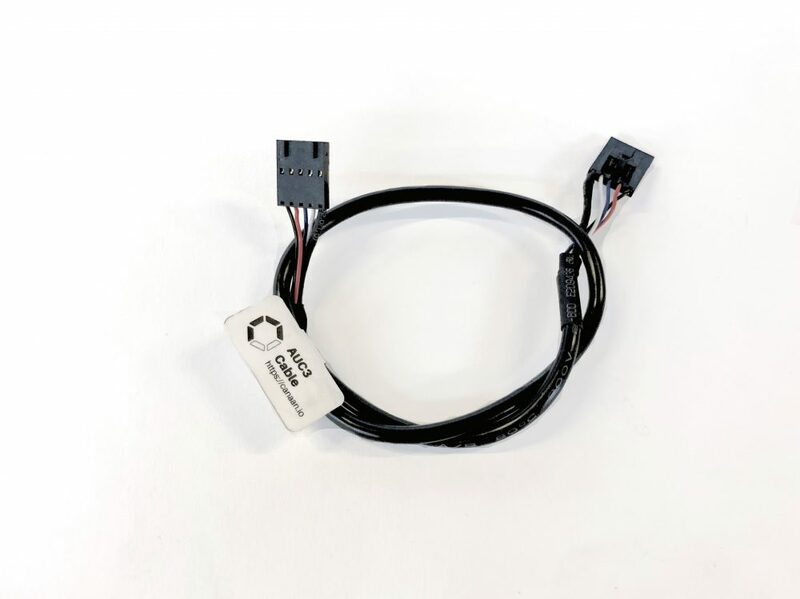 The AUC3 Cable is what connects the AUC3 to the controller. If you want to run more than one Avalon Miner on your controller the ACU3 cable will allow you to bridge up to 5 Miners per USB slot on the Avalon controller. By connecting our AvalonMiner Controller (sold separately) to a single AUC3 (Avalon Miner USB Converter 3), you may connect five Avalon Miners. For maximum usage, you may connect the Avalon Miner Controller to 4 AUC3 devices which may each connect to 5 Avalon Miners for a total simultaneous management of twenty Avalon Miners. The AUC3 Cable is what allows you to jump the Avalon Miners together, adding up to 5 miners per USB port on the Canaan / Blokforge controller.